Bertrum Foster, Jr. says, those words with such indifference that it belies his major accomplishment. Just wanting to teach math led Foster to a Ph.D. in mathematics. The statistics for black males excelling in the sciences are dismal. They are even more grim on the doctoral level. His intent was never to bolster the statistics for black males, even though he did. Dr. Foster simply wanted to teach mathematics on the collegiate level. In order to accomplish that goal, he needed a Ph.D.
“I like math because it’s a challenge,” says Dr. Foster, also known to many as “Beep.” His passion for math began with 9th grade algebra. But his first passion was for basketball. Like many young boys, Dr. Foster imagined himself playing professional basketball. But by high school he was 5’9″ and realized that his dreams of playing professional basketball were slim. But his love for the game continued. In 1995 he lead “Jah Youths” the basketball team founded in his Donoe neighborhood on St. Thomas to the Thanksgiving Tournament championship. During that same time period, in 1994-95, he lead his Ivanna Eudora Kean High School Devil Rays boys basketball team to consecutive inter scholastic basketball championships. After graduating high school, Dr. Foster took a break. He held several jobs in Oklahoma for four years before returning home and enrolling at the University of the Virgin Islands to take a shot at the men’s basketball team. “The people who had the kinds of jobs I liked all had degrees,” Dr. Foster says. At UVI he remained a boss on the courts and in the books. In 2003 he earned a Bachelor of Science in Mathematics from UVI. After undergrad Dr. Foster again took a break from academics, this time working in New York. As time passed he got serious about his career, returning to grad school at Howard University. In 2013 he earned a Ph.D. in mathematics from Howard. Being totally honest, Dr. Foster confesses that his carer choice first came about for the wrong reason: when as a university student he walked into the office of a mathematics professor who was playing solitaire on the computer. “I wanted to play solitaire at work too,” Dr. Foster says with a laugh. But Dr. Foster learned that being a professor is no game. In addition to lecturing he has to mentor and advise students, grade papers, conduct research, get his research published, make presentations to academic groups, serve on committees and be at the forefront of curriculum development. “It’s definitely more work than meets the eye,” Dr. Foster says. 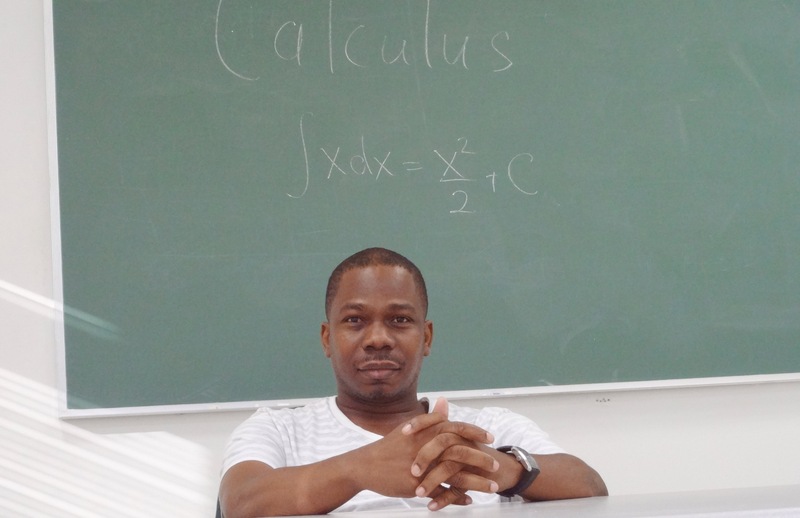 After serving as a professor at Montgomery College in Maryland and a lecturer at Howard University, Dr. Foster was recruited as an assistant professor of mathematics at UVI. 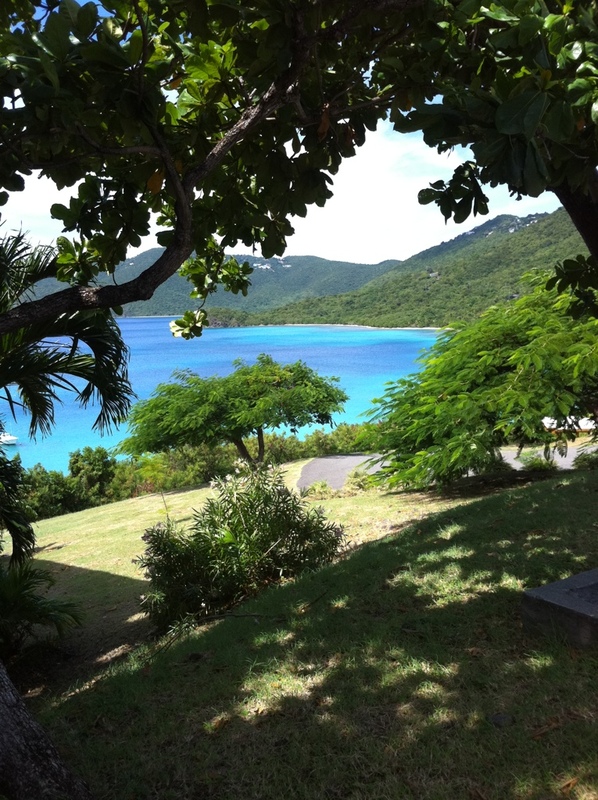 Although it was challenging readjusting to the facts of life in the islands – high electricity bills, high cost of living and high crime: “Corned beef is $12 a can,” he notes as an example – Dr. Foster is happy for his circle of experiences. His next goal is to become a tenured professor. And he still plays basketball – four days a week. Soon he will start coaching and training young men in the game. At 30-something years old, Dr. Foster is at the top of his game – a mentor in the classroom and on the courts. Sounds like a slam dunk!